Our track record of favorable results earned for clients is one reason to turn to Choulos & Wyle, but it cannot tell the whole story. The caring, focused personal attention our senior attorneys, George V.Choulos and Claude Wyle, provide clients through every phase of their cases is equally important. Serious personal injury and wrongful death cases have been the focus of our law firm since its founding in 1983. Every working day, we stand up for the rights of the injured against negligent individuals, insurance companies, manufacturers and government entities. When our attorneys take on a case, we are in it to win and to help make our clients whole. As avid riders, cyclists and supporters of the motorcycle and bicycle communities, we sponsor and volunteer with many local organizations and causes. We take satisfaction in the positive impact our work often has on public safety, and we are assertive advocates for sharing the road and working toward safer streets and roadways for all. The nature of our personal injury practice enables us to not only maintain for our clients the exceptional degree of privacy required by their circumstances, but also to provide tailored service for every client’s specific situation. Our attorneys and staff speak Spanish, Russian, Korean, and French, and we have ready access to interpreters for nearly every language. When we pursue a case, the only acceptable outcome is a just settlement or verdict that helps you move forward. We also know there is tremendous value in work that exposes dangerous actions, products and property – often leading to awareness and positive changes that may save someone else in the future. As a completely dedicated personal injury attorney team in San Francisco, our firm has focused on personal injury cases since 1982. 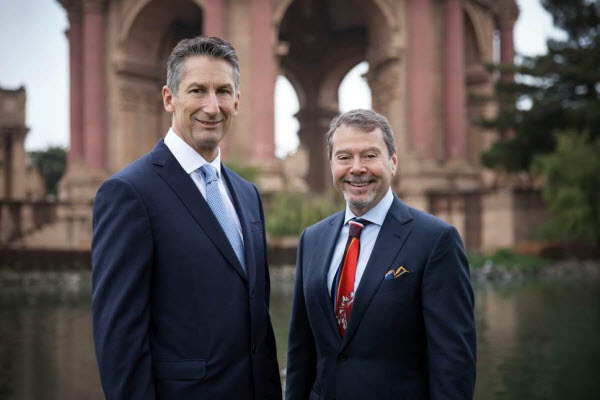 We are among the most experienced and well respected personal injury attorneys in San Francisco, representing clients in all types of personal injury cases. Because San Francisco is such a pedestrian and bicycle friendly city, many times, accidents will happen that involve people who are on foot or people who are riding bicycles. Unfortunately, a careless or reckless driver of a car, truck or commercial vehicle who is in a hurry or inattentive can make one bad decision that can impact another person for the rest of his or her life. What Types of Events Might Warrant a Personal Injury Case in San Francisco? Personal injury cases can result from any number of injury producing events such as using defective products, slipping and falling on a poorly maintained sidewalk or driveway, or while they working at a construction site. Personal injury claims can also arise from dog bites, dangerous roadways, drunk driving, violence, or any number of places where people do not act reasonably. While the vast majority of personal injury cases result from negligence or carelessness, a claim can also be brought in San Francisco against someone who causes harm intentionally or who has been grossly negligent or reckless in causing personal injury. This is generally seen in assault and battery cases, which are often viewed only as criminal cases. However, a civil case seeking damages for medical bills, lost wages and pain and suffering is also appropriate if a person is harmed from an assault and battery. 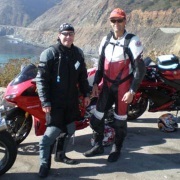 How Does Our San Francisco Motorcycle Accident Legal Team Help Motorcycle Accident Victims? Thanks to California’s great climate and environment and the countless places to enjoy the open road, the San Francisco Bay Area is home to thousands of motorcycle riders. Although the thrill and freedom of the open road is exhillirating, many times motorcycle riders are exposed to a greater risk of personal injury as well. Our motorcycle accident lawyers are dedicated to making motorcycling safer for all riders through greater accountability for negligent motorists and also those who maintain dangerous roadways. Although it is absolutely clear that drivers of cars and trucks must proactively watch out for bikers on streets and highways, motorists often fail to keep a proper lookout striking and injuring motorcyclists. Unfortunately, accidents involving motorcycles happen often simply because other motorists fail to see the biker or his or her bike. In addition, motorcycle riders also face other hazards from bad road conditions because public entities design and maintain roadways for automobile and truck traffic primarily. Motorcycle riders often are viewed as risk takers or rule breakers, even though most motorcycle riders are law abiding and most ride safely. Because of the sometimes prejudice against motorcyclists, motorcycle cases can be more challenging. Therefore, bikers need an experienced motorcycle attorney when seeking compensation for medical bills, lost wages, disability and pain and suffering. Our San Francisco motorcycle accident legal team knows how to win a motorcycle accident case trial and also and how to get the maximum settlement amount for each client. Having a veteran motorcycle attorney in San Francisco by your side early on will keep you from making costly mistakes as you move forward with your case. As lifelong riders, our attorneys not only protect the rights of motorcyclists through greater accountability, we also promote motorcycle safety laws, and we help to support motorcycle clubs and we sponsor a motorcycle race team. Additionally, we sponsor motorcycle events, particularly through the Bay Area Riders Forum, or BARF. How Can a Pedestrian Accident Lawyer in San Francisco Help Me? San Francisco is one of the great walking cities of the world. Because of the City’s and the Bay Area’s natural beauty, many people know the best way to get the most out of the Bay Area is on their feet. For many San Francisco Bay Area residents and visitors, walking is the preferred way to tour, travel, or to commute to work or to school. San Francisco streets are also among the most congested and crowded and often most dangerous streets in the entire U.S.A. San Francisco ranks very high among American cities for pedestrian accidents and pedestrian fatalities as well as bicycle accidents and bicycle fatalities. San Francisco pedestrians must compete for space with cable cars, autos, trucks, buses and bike riders, as well as some new hazards like electric scooters and electric skateboards and other innovative forms of transportation. All of these competing modes of transportation create the potential for pedestrian accidents. Most of the time people successfully manage to avoid vehicles, but walkers must also contend with other hazards. Slippery conditions on streets and sidewalks, common areas that are poorly maintained, trip and fall hazards on sidewalks and alleyways, potholes, poorly lit areas that hide hazards, and construction zones can be especially dangerous. The bottom line is that you shouldn’t be discouraged from walking in the City, but you need to remain alert and responsible with so much activity taking place all around you. Despite your best effort to avoid dangerous hazards, if you are the victim of a pedestrian accident while you’re walking, you could sustain anything from a few cuts and scrapes to major injuries like broken bones or significant damage to your arms, legs, head or spine. From our experience as pedestrian accident lawyers in San Francisco, we know that trying to recoup damages after you are involved in a pedestrian accident can be a long and drawn out process. After all, it is in an insurance company’s best interests to protect their bottom line. Through our law office’s considerable resources and experience, we know what to expect and how long the process should take. Retaining our law firm means you can focus on healing and leave the stress and burden of the legal claim to our legal team. When Should I Hire a Bicycle Accident Attorney in San Francisco? We actively support those who choose alternative forms of transportation and we are strong advocates of bicycle riders throughout the Bay Area. As avid cyclists ourselves, we are proud to sponsor the Marin County Bicycle Coalition, Safe Routes to School, and the San Francisco, Santa Clara, San Mateo, and California Bicycle Coalitions. Because we get out and ride the roads and trails on a regular basis, we know and understand the unique perils associated with bike riding in Northern California. We’re able to take that first-hand knowledge and put it to work for our clients who are the survivors of bicycle accidents. 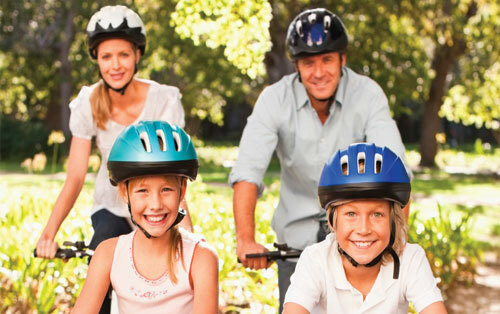 While bicycle riding is an exhilarating experience, it can also result in serious injuries including broken bones, head trauma, spinal cord damage, injury to internal organs, amputations, as well as other serious and life-threatening trauma. Many times, despite riding legally and reasonably, bicycle riders become survivors of accidents through no fault of their own. Careless car, bus, and truck drivers, road hazards and dangerous conditions all can have a significant impact on the safety of riders. When an accident occurs, we’re able to represent cycling clients and give them an added advantage using our first-hand knowledge and decades of experience representing bicycle riders. We recover the maximum amount of damages for our clients either by negotiating a settlement or, if needed, going to trial and securing payments for lost wages, or earning capacity, past and future medical expenses, as well as pain and suffering. 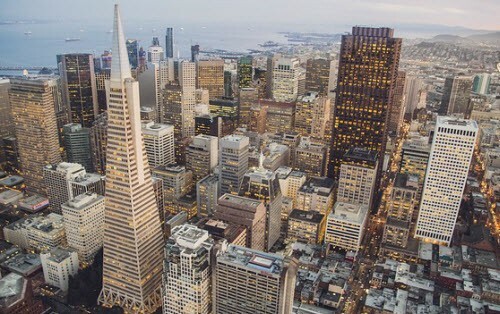 Choulos, Choulos & Wyle proudly represents clients in San Francisco and surrounding Bay Area communities. When you need to speak to a San Francisco personal injury lawyer, call our office for a free case evaluation at 415-432-7292 or toll free 877-702-7800 today.